We give principals and teachers a proven path to transform elementary and middle schools into phenomenal centers of educational excellence. Back up your commitment to improving education with a proven methodology that puts the power to transform education in the right hands: The principals and teachers you count on every day to deliver it. Create and enhance the trust and support between principals and teachers that results in increased student achievement. Momenta is a call to action for superintendents truly committed to improving schools across their district. Momenta’s introductory low-cost packages are offered to schools who have never worked with Momenta before. Teachers and coaches will learn strategies to implement in the classroom immediately, and will receive in-school support to make sure the new strategies take hold in classrooms across grade levels. You choose the package that best meets the needs of your faculty and students. All bundles include a 1 day workshop and follow up coaching visits that include model lessons, debriefing sessions with faculty, walkthroughs to support implementation, and in the case of data analysis, support in understanding and presenting the data to facilitate engaging and effective data meetings for grade level teams. Transform K and 1st grade instruction to ensure big and lasting gains in meeting literacy benchmarks. Introduce protocols for data meetings and make meaningful decisions for personalized learning. Instructional strategies to improve student skills citing evidence and writing a prose constructed response. Educators embrace Momenta as a pathway to creating a performance-driven culture that gives every child what he or she needs to become a confident, articulate, engaged and happy student. Momenta’s greatest strength is its performance with low-income and Limited English Proficient (LEP) students. Across the board, from literacy to math, students are developing critical thinking skills. Students love Momenta because it makes going to school more exciting, fun and engaging. Every student gains confidence in their own abilities and discovers they have something valuable to say and contribute. Our impact illustrates this. Improving basic reading fluency, particularly in kindergarten, is a powerful way to improve MCAS performance. 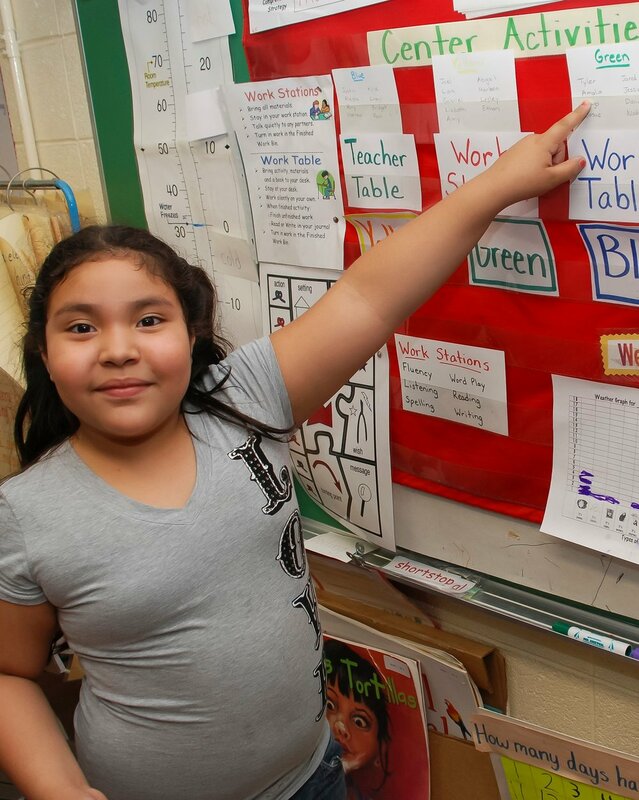 Kindergartners in Momenta schools improve their reading fluency far more than their counterparts in a national sample. In a nationally representative sample, only 27% of children enter kindergarten with basic alphabetic skills. By the end of kindergarten, only 30% have mastered grade-level reading skills. By 3rd grade, only 34% of children are reading at grade level. Children enter kindergarten in Momenta schools scoring about the same as their counterparts in the national sample. However, by the end of kindergarten over 50% of Momenta students have mastered grade-level reading skills, and they continue to progress on grade level through 3rd grade. Momenta collects and documents some of the the best practices in its partner schools. Explore the video library for more insights. Ed Moscovitch helped design Massachusetts’ landmark education law that passed in 1993. He wrote the formula that directs state money to schools around the commonwealth. But he learned his most important education lessons by leaving this state and going to Alabama. Rennie Center for Education Research and Policy - "Bay State Reading Institute: A Case Study of Teacher Culture Change"
Read the Rennie Center for Education Research & Policy case study of three Everett (MA) public schools which partnered with BSRI. Key findings of the report include that the BSRI model helped educators tailor instruction to student needs and set higher expectations for students and school improvement. Boston Globe Magazine - "5 ways K-12 schools are changing longstanding teaching methods"
From what we do with libraries to who gets to talk in class, rethinking some traditional models of learning. As the new school year approaches, I have been thinking about some of the high-performance, high-expectations schools in which I’ve been privileged to work. Twenty-five years ago a broad coalition of legislators, business people, education experts, and state officials put together and passed a wide-reaching education reform law. That law reflects a set of shared beliefs—basically, that a combination of increased funding, state testing tied to graduation requirements, new state curriculum frameworks, charter schools, and increased authority for superintendents and principals would lead to better schools. Whether Massachusetts should drop the Common Core standards is the subject of a State House hearing today. My answer – an emphatic: Keep them! At one table, Plum Cove Elementary School fourth-grader Jessica Cote was working with classmates Noah Vicari and Brendan Anderton, reading online articles to build an argument in favor of recycling. “It protects the environment,” said Jessica. “And it reduces energy,” Noah added. Both Adams-Cheshire Regional School District elementary schools have seen increased standardized test scores.